African Bookmarks Zulu Love Letter with the meaning of each colour. (NB! 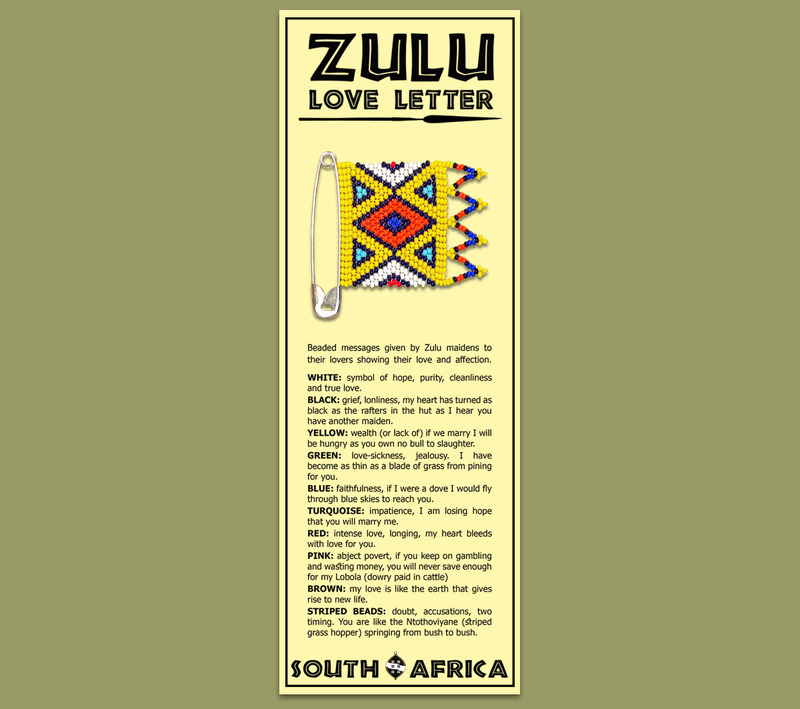 THE ZULU LOVE LETTER SHOWN ON THE BOOKMARK IS PRINTED IT IS NOT BEADED). Laminated. Any company logo's and images can be added and all wording can be changed for corporate / personal requirements (minimum quantities apply).